Get Love from Heaven today! Always a pleasure to talk to....will we see what happens! And, I appreciate you, angles, spirit, and God. 3rd generation medium, clairvoyant (clear seeing), clairaudient (clear hearing), and empath (ability to sense what others feel as if she were them), guardian angel adviser. 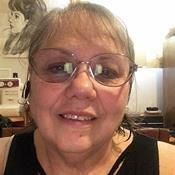 Angel Lines has worked as a phone psychic counselor/adviser for over 25 years now, and was a private psychic counselor several years prior to that. You will find Angel Lines to have a very fast connection to your guardian angels and answers. She connects as soon as she hears your first few words. Angel lines answers questions quickly with confidence and is very accurate. Angel Lines has been a user of Keen since 2006. Getting Psychic Mediums advice from Angel Lines through www.keen.com is safe, secure and confidential.